Personal watercraft are involved in 22% of boating accidents. In 2009, watercraft were linked to 878 injuries nationwide. That same year, 42 people died because of personal watercraft accidents. In 2009, emergency rooms treated 32,400 children under 16 for ATV-related injuries. 36,400 people aged 16-24 were treated for ATV injuries. 61 children under age 16 died because of ATV accidents in 2009. 48% of ATV fatalities are children under 12. Florida’s climate makes enjoyment of the outdoors a priority and a daily activity for many visitors and residents. Outdoor utility vehicles, including personal watercraft vessels and ATVs, are often a big part of our enjoyment of the great outdoors. Personal watercraft, also known as jet-skis, are vessels up to about 12 feet in length that use an engine to create a jet of water that provides powerful propulsion for the craft. They may be operated from a kneeling, sitting or standing position, and are popular with adults and kids alike. All-terrain vehicles, or ATVs, are the dry-land counterparts of personal watercraft. ATVs are powered by gas engines and may be capable of speeds over 60 miles per hour. Although they may weigh hundreds of pounds, the vehicles can easily tip and roll over. Accidents are common with both types of vehicles. At Associates and Bruce L. Scheiner, Attorneys for the Injured, our experienced personal injury and wrongful death attorneys in Cape Coral, Naples and Fort Myers have handled many injury and wrongful death claims related to personal watercraft and ATV accidents. According to the U.S. Coast Guard, personal watercraft are involved in more than 1 in 5 accidents involving vessels on the water. They are second only to motorboats in causing the most injuries on the water. In 2009, personal watercraft accidents injured 878 people and killed another 42 nationwide. Our beautiful beaches in Southwest Florida are a big draw for watercraft users, so the Fort Myers watercraft accident lawyers at Associates and Bruce L. Scheiner know and understand the risks. We know that the factors that contribute to accidents on the water include irresponsible use, other irresponsible boaters, defective or poorly maintained rental equipment, renting to young or inexperienced users, and alcohol impairment. The Coast Guard lists 5 top contributing causes to watercraft accidents, and all reflect poor judgment or a careless approach to vehicle use. They are: inattentive operators, inexperienced operators, excessive speed, improper lookout, and use of alcohol. Fort Myers and Naples personal injury attorneys at our firm know that careless drivers can cause problems on land when they operate ATVs – resulting in injury to themselves, innocent passengers or others. Florida’s Department of Highway Safety and Motor Vehicles defines an ATV as “a small open motorized vehicle with three or four wheels, designed for off-road use with a seat that is straddled and handlebars for steering.” Riders under 16 are required to use helmets and protective eyewear when operating an ATV, but enforcement in off-road environments can be challenging. At Associates and Bruce L. Scheiner, Attorneys for the Injured, our Fort Myers ATV accident attorneys know that hundreds of deaths are reported nationwide every year because of ATV crashes. 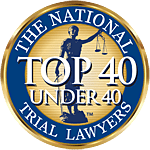 In fact, we know that at least one life is lost to an ATV accident every day in the U.S. Our firm has seen the heartache suffered by families of accident victims. We know that government figures show that children under 16 suffer about a fourth of the total injuries attributed to ATVs every year. We also know that the most recent fatality figures confirm that at least one child in that age group dies every week from ATV accident injuries. When you or your child have been hurt in an ATV crash, your attorney’s skills are important. His or her experience in ATV cases heightens your chances of recovering the maximum compensation available for the injuries or losses suffered. The Fort Myers, Cape Coral, and Naples areas have both the open country and open water that encourage ATV riders and personal watercraft users to power up their vehicles. Kids too young to operate such dangerous machines, adults who combine alcohol with the use of powerful vehicles, and other careless or irresponsible uses of these vehicles can result in tragedy for families across Southwest Florida. Your strongest allies in the aftermath of a serious ATV or personal watercraft accident can be the experienced personal injury and wrongful death lawyers at Associates and Bruce L. Scheiner, Attorneys for the Injured. Call our offices in Fort Myers, Cape Coral, Naples, Port Charlotte or Sebring to request a free evaluation of your case. You pay us nothing unless we win.